The Rusty Lake series gets even weirder. “Do be warned, detective…some men find this place hard to leave.” It’s meant as a threat, but I laughed. Even for the Rusty Lake series, this is one hell of a wink-nod, fourth-wall-breaking moment. Yes, one of the most prolific game development teams is back for its second game of 2018, Cube Escape: Paradox—and perhaps the most ambitious of the series, thanks to a 20-minute short film that’s integral to the plot. Just when you think Rusty Lake can’t get any weirder, it does. You’ll note of course that this is titled Cube Escape: Paradox, not Rusty Lake: Paradox. A bit confusing, no? To recap, the Rusty Lake games (Hotel, Roots, Paradise) spun out of a series of browser-based escape rooms, titled Cube Escape. Until now the main distinction has been that the Cube Escape games are both shorter and free, while the Rusty Lake entries are longer, more complex, and sold through Steam. Cube Escape: Paradox bridges the gap though. It’s much smaller in scale than the sprawling Rusty Lake: Paradise released this past January. In Paradise, players explored an entire island. Here, you’re trying to escape a simple four-walled parlor—and I suspect it’s this constraint the developers would claim makes it a Cube Escape game. But Cube Escape: Paradox is being sold on Steam, and it’s significantly longer and more complicated than the Cube Escape collection thus far. 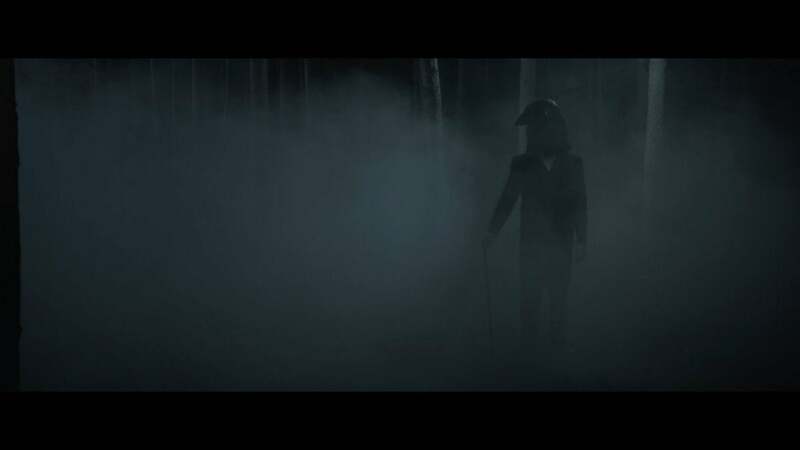 It also, as I said up top, contains a 20-minute short film set in the Rusty Lake universe. The integration’s a bit weird, at least on Steam. Paradox is coming to mobile platforms too, and I tested that version briefly at PAX West earlier this month. There, tapping the “Movie” button on the main menu launched directly into the film, as you’d expect. On Steam, at least our pre-release build tried to launch the movie in a browser—or alternatively I could launch the movie directly from the “Videos” tab on Steam. Those were my only options, and both are a bit clumsy. Still, I’d recommend watching it. The short’s surprisingly good. I wouldn’t expect the Rusty Lake games, with their macabre cartoon style, to translate well to live-action. Paradox nails the look though, and even manages to include some of the creepier characters (like the crow-headed Aldous Vanderboom) without coming off as cheesy. No mean feat. In any case, you’re welcome to watch the film first, watch the film second, or not watch it at all. The developers claim all three are valid choices. The short is loosely tied to the story, but isn’t required to solve any puzzles—or when it is, those clips are embedded in the game proper. 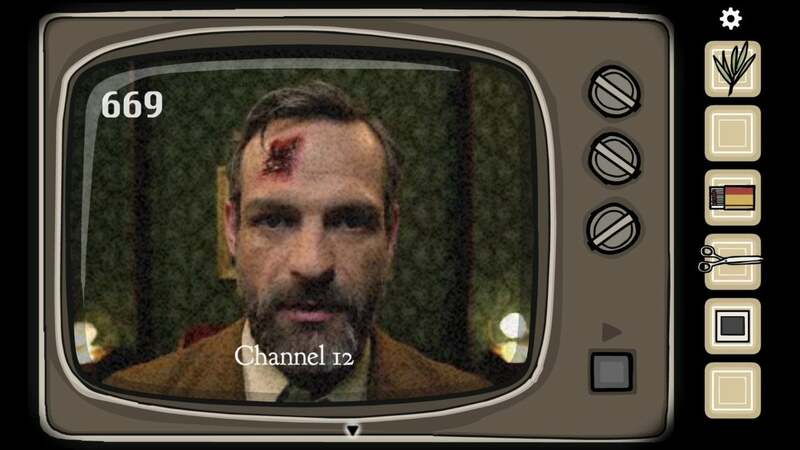 Paradox’s main gimmick is “Rusty Lake TV,” an old TV set you tune to see video clips that are integral to the solutions. It’s a fun way to tie the mixed-media setup together. Aside from the film it’s pretty standard Cube Escape/Rusty Lake fare. The game portion is split into two parts, a Chapter One and Chapter Two. In keeping with the Cube Escapes of old, Chapter One is free. Chapter Two is the break from tradition, a paid $3 experience—and a much more elaborate one, with higher-concept puzzles and storytelling. 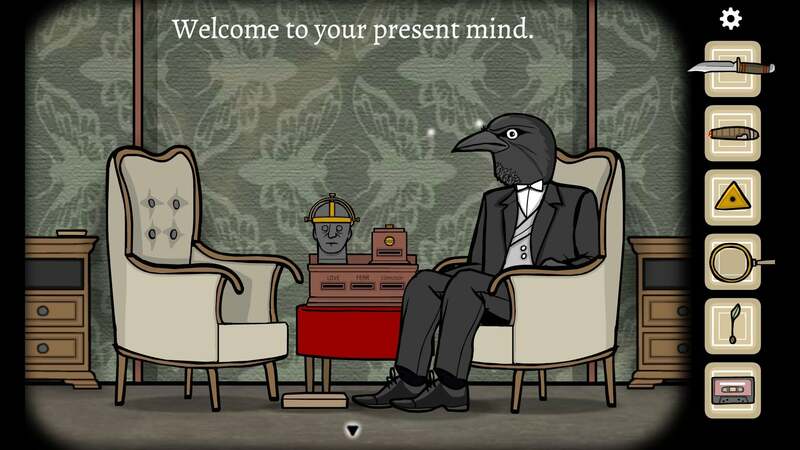 I said Paradox spans the gap between the Cube Escape and Rusty Lake games, but it’s Chapter Two that does most of the heavy lifting. A set of puzzles involving the “Past,” “Present,” and “Future Mind” is as experimental as anything this series has done previously, without technically breaking the escape room conceit. It’s bizarre, and really well done. The particulars haven’t changed much though. This is after all the thirteenth game in the series, and the puzzle design is pretty familiar by now—lots of boxes to open, locks to unlock, symbols to find, and then the occasional macabre twist like rearranging the spinal column of the fish you found sitting in a drawer. It’s a good mixture, and plays a lot smoother than Paradise did earlier this year. But as per usual the draw is the experience, not the actual exercise of puzzle-solving. It’s almost impossible to explain the strange blend of surreal horror and humor in the Rusty Lake games, though I always try to grab thought-provoking screenshots. 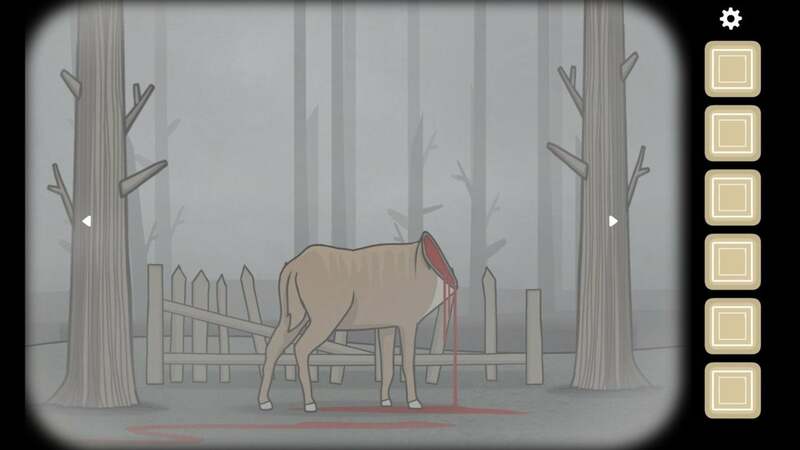 Who or what beheaded the deer corpse in the forest? Whose hand keeps reaching out from the bird cage? Why does the note next to the telephone have “Not the blue vial!” scrawled on it? And what did the man on the TV mean when he said “Burn your soul”? 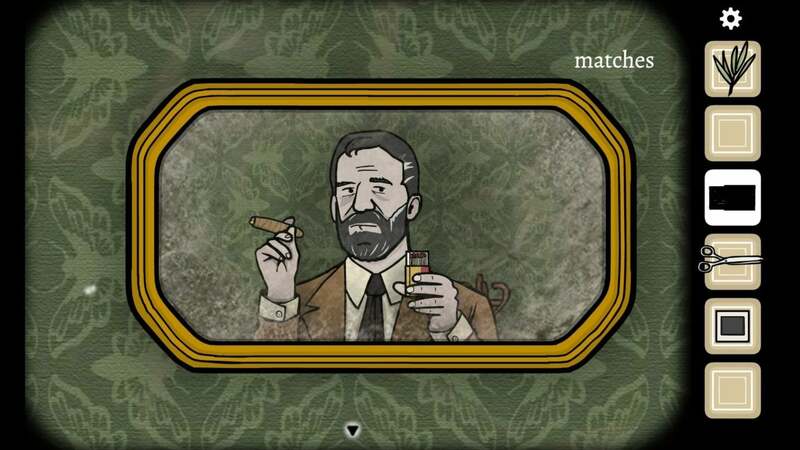 I think your first Rusty Lake experience is probably your best one, but even thirteen games in this series continues to surprise, unsettle, and horrify me in all the best ways. It’s a competent escape room series, solid enough in its puzzle design to satisfy your adventure game itch. But it’s the atmosphere that keeps me anticipating each new entry. 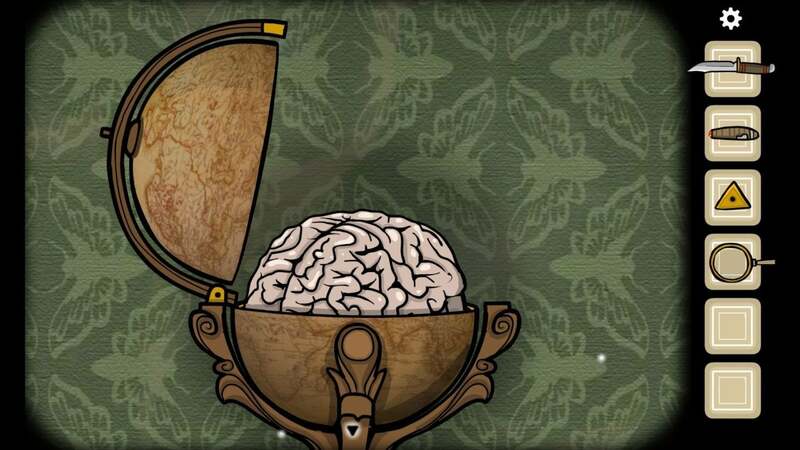 “There’s nothing else like it” is an overused adage, but in the case of Cube Escape: Paradox and Rusty Lake in general I can’t stress it enough: There really is nothing else like it. It’s pretty amazing, watching Rusty Lake grow. What began as a simple room-escape series entered 2018 with Biblical references and leaves it with an audacious 20-minute short film. I can’t even imagine where it’ll go next, though I’m sure it’ll be weird as ever. Cube Escape: Paradox is worth picking up regardless. Chapter One is free, so if you’re looking to see what the fuss is about it’s maybe a good entry point—but the $3 Chapter Two is the real delight, with some inspired puzzles and a whole lot of story implications for fans to pore over in the coming weeks. The Cube Escape/Rusty Lake series has long been a site favorite, but the new Cube Escape: Paradox entry is perhaps the most ambitious of all, including a 20-minute short film alongside two surreal room escapes.